HALIFAX — Nova Scotia Power Inc. is installing a dozen fast-charging stations for electric vehicles, with investors bankrolling the new province-wide network rather than ratepayers as originally proposed. The utility said Tuesday it will finance the 12 stations through an investment by Emera shareholders after the energy regulator rejected its proposal to pay for the network through customers' power bills. "We'll be financing it outside of rates. The opportunity with the federal cost-sharing is one that we simply couldn't pass up," NS Power spokeswoman Tiffany Chase said in an interview. The million-dollar project will be paid for by the utility and Natural Resources Canada — each investing roughly $420,000 — while the province will contribute $120,000 towards secondary chargers at each station, she said. The charging stations will be located every 65 kilometres or so along Nova Scotia's highways and feature both Level 3 fast chargers for fully electric vehicles and Level 2 chargers for plug-in hybrid vehicles. 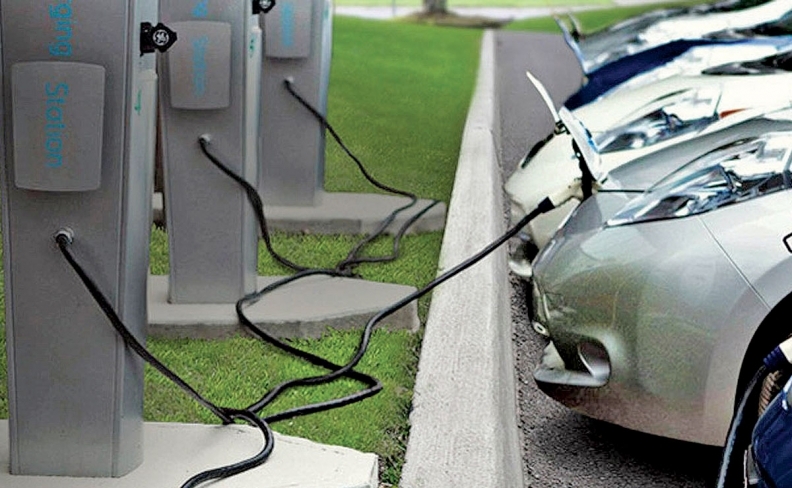 "Our main objective is to increase access to charging stations across the province," Chase said. "We've heard from customers that the lack of charging stations, and the lack of fast charging stations in particular, is a key barrier to owning an electric vehicle in Nova Scotia." Lukas Swan, associate professor of mechanical engineering at Dalhousie University, said the fast-charging network will put Nova Scotia on the electric vehicle map. "The entirety of North America and the broader world is moving towards electric vehicles because they're efficient and they can charge with renewable energy," he said. "We've seen massive roll outs in many states and provinces across North America with the exception of the Atlantic provinces until recently." The Level 3 charging stations, also called direct current fast-chargers, use a 480-volt system similar to Tesla's "supercharger" stations. Swan said the stations will accelerate the adoption of electric vehicles because they "permit people to travel the distances that they expect from their cars and to move about the province." Charging an electric vehicle at a Level 3 fast charger takes 15 to 30 minutes, while a full charge at a Level 2 charger can take up to eight hours. NS Power plans on charging $15 an hour at a fast charger, and $1.50 an hour at a secondary charger. NB Power rates are the same as NS Power, while Hydro-Quebec — which has among the lowest electricity rates in North America — charges $1 an hour for Level 2 charging and $10 an hour for Level 3 charging. Meanwhile, NS Power hopes to glean data from its network, to be built this spring, to help it understand the growing impact of electric vehicles on the power grid. The exact location of each of the 12 stations, chosen through a request for proposal process last year, will be announced in the coming weeks, she said. The utility is also working with the province to develop wayfinding signage on highways to help motorists find the stations. "We've been working with the Department of Transportation to add a symbol to indicate there is an electric vehicle charger available at that exit," Chase said. "We'll add that symbol to the standard blue signs you would see on the highway that list the amenities at each exit." Only about 28 per cent of the province's electricity hailed from renewable sources in 2016, but Chase said the utility is on track to generate 40 per cent of its power from renewables by 2020. Meanwhile, Tesla has announced plans to build seven new "supercharger" stations for its high-end vehicles in the Maritimes — five in New Brunswick and two in Nova Scotia — by the end of 2018.